Tumors involving the salivary, thyroid, and parathyroid glands in the pediatric age group range from benign tumors, to indeterminant malignant potential tumors to frankly malignant tumors. In addition, certain tumors may be associated with hereditary syndromes. During the past several decades, cytogenetics and molecular genetics have provided certain tumor-defining features. 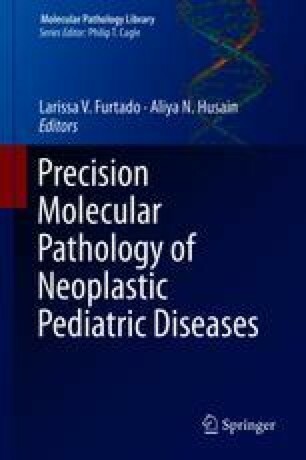 With the advent of rapid sequencing techniques, further definition of these tumors and identification of molecular targets for diagnosis, prognosis, and treatment have been identified. This chapter reviews the molecular features of salivary, thyroid, and parathyroid gland tumors. Said MS. Myoepithelioma pathology. http://emedicine.medscape.com/article/1692199-overvieww#a10. Accessed 1 Aug 2017.